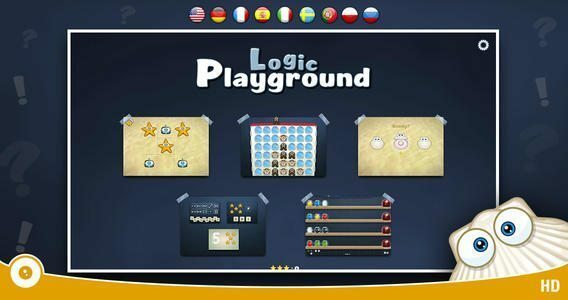 Jam packed fun with some of our favorite childhood games and terrific parental control features; all of this and more at a reasonable price. With slight differences between the devices, Playground HD 2, a universal app, plays well on both the iPad and iPod. The graphics are crisp and clear, with colors that are easy on the eyes. The app does not contain background music, which works well in this case; game sounds are appropriate, but not obtrusive. A very simple design makes the app easy to use for all ages. 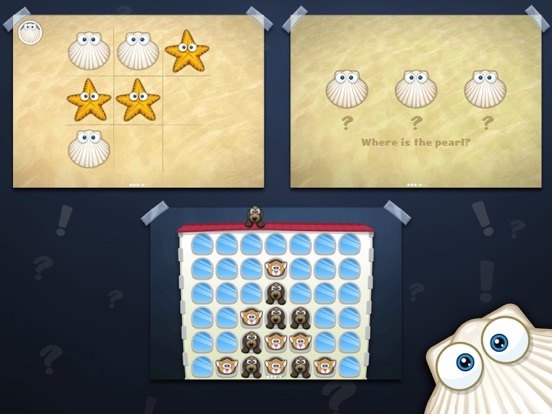 The only items on the screen are what need to be there for the kids to play the games; such as a button for the in-app instructions, a reset game button and so on. I love the security features that have been incorporated to prevent kids from entering areas they shouldn’t; plus, there is an in-app timer parents can set to limit the time their children play the app. 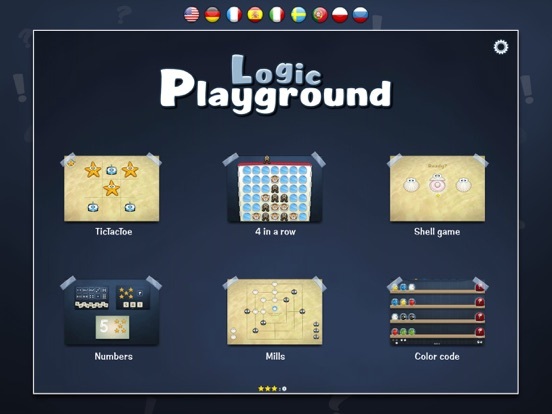 Tic Tac Toe – kids can play against the computer or a friend. 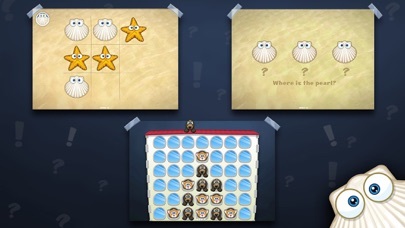 Connect 4 – play against the computer or a friend. 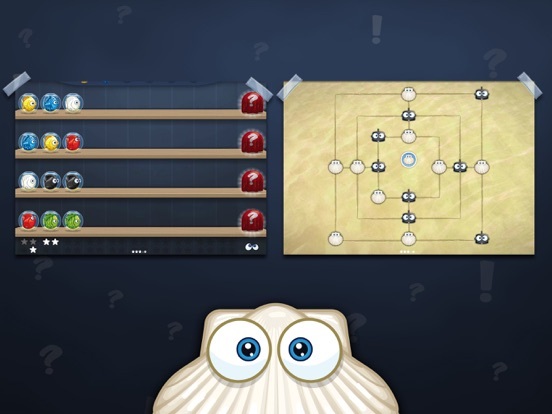 Shell Game – keep an eye on the pearl. 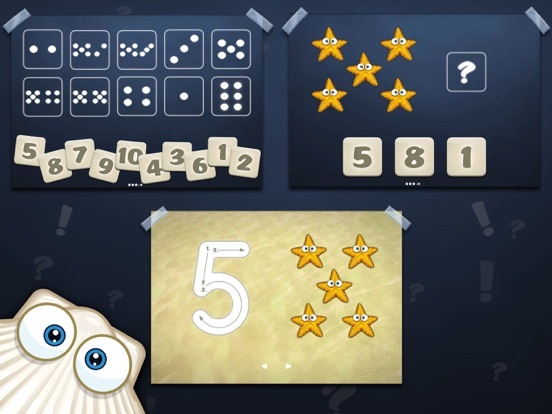 Numbers – match the numbers with the correct domino. Mills – available on the iPad only; users play against the computer. 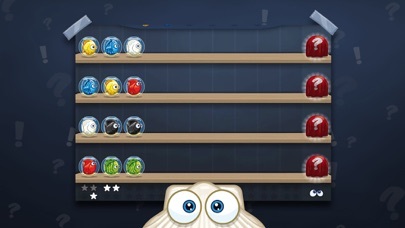 Mastermind – figure out the color code by placing the fish in the correct aquariums. Eight language options are available. 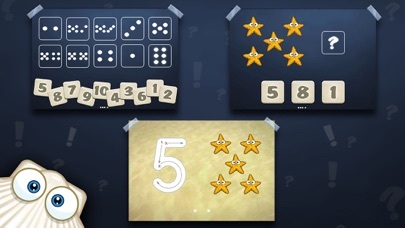 My testers had fun changing the language for the Numbers game. The app does not contain in-app purchases or ads; the social media buttons and external links are protected in such a way that it is unlikely kids will access them easily. 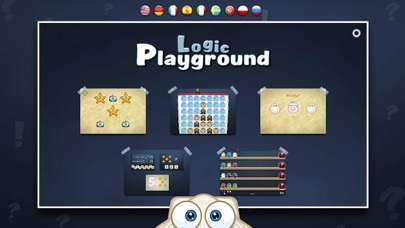 A Playground HD 2 Lite version is available in iTunes.